Massachusetts Senator Elizabeth Warren, California Senator Kamala Harris, and former San Antonio Mayor Julián Castro have all indicated in recent weeks that they support some form of reparations to benefit the descendants of American slaves. Reparations for American slavery are a misbegotten idea, unworkable and unjust, but every now and then they come back into vogue as a political talking point. Now progressive Democrats, or at least some of the ones running for their party’s 2020 presidential nomination, are going through another such phase. Massachusetts Senator Elizabeth Warren, California Senator Kamala Harris, and former San Antonio Mayor Julián Castro have all indicated in recent weeks that they support some form of reparations to benefit the descendants of American slaves. 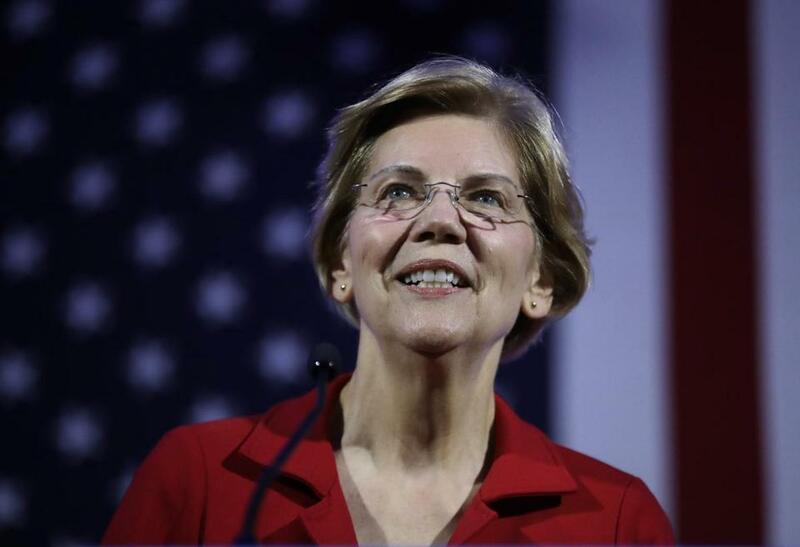 “I believe it’s time to start the national, full-blown conversation about reparations,” Warren said at a CNN event in Mississippi, where she endorsed legislation to create a commission of experts to propose a system of compensation for slavery. Slavery was a toxic evil, and its bitter impact didn’t end with emancipation. But any attempt to discharge the moral crimes of the 18th and 19th centuries with monetary payments in the 21st century is doomed to fail. The logistical and definitional obstacles alone would be a nightmare. The vast majority of white Americans have no ancestral link to antebellum slavery — they are descendants of the millions of immigrants who came to the United States after slavery had been abolished. Of the remainder, few had any slaveholding forbears: Slavery was abolished in most Northeastern states within 15 years of the American Revolution, while in most of the West it never existed at all. Even in the South at the peak of its “slaveocracy,” at least 75 percent of whites never owned slaves. 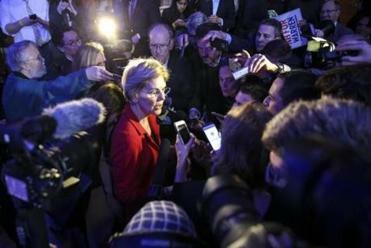 Senator Elizabeth Warren suggested Friday that Native Americans should be “part of the conversation” when it comes to the federal government providing reparations. That’s just where the complications start. To whom would reparations be owed? Millions of black Americans are recent immigrants or the children of those immigrants, and have no family link to slavery. Are they entitled to compensation for what slaves endured? How about whites whose ancestors were slaves? Or blacks descended from slaveholders? What of the 1.8 million biracial people who identified themselves in the last Census as both black and white? Should they expect to collect reparations, or to pay them? There is no commission of “experts” wise enough to untangle such moral and philosophical snarls — certainly not now, a century and a half after slavery ended in the horrific bloodbath of the Civil War. It is a great shame that General William Tecumseh Sherman’s laudable efforts to provide former slaves with grants of land (“40 acres and a mule”) was never implemented, and the collapse of postwar Reconstruction in the face of ferocious Southern resistance is one of the colossal tragedies of American history. But aching unfairness is a leitmotif of the human condition. And so is the statute of limitations on the sorrows and cruelties of the past. The time for reparations is when the victims who suffered can still, in some sense, be “repaired” — when those who themselves were abused or enslaved or cheated can be offered a measure of redress. The same goes for other instances of reparations widely seen as equitable and fair: the 1988 payment by the US government to each surviving Japanese-American who was locked in an internment camp during World War II, or the amounts belatedly paid to the deceived patients of the infamous Tuskegee Study, in which government doctors purposely denied treatment to 399 black men infected with syphilis. Those were attempts, however belated or inadequate, to make amends to the people who were actually hurt. Reparations for slavery are wholly different. To demand compensation for African-Americans who were never slaves is not a demand for individual justice but for racial group entitlement. To insist that white Americans in 2019, by virtue of their color, owe a debt for the slavery and repression of centuries past is to preach collective guilt. Few heresies are more antithetical to our aspirations to equality, tolerance, and individual rights. Few are more likely to inflame tribal resentment and contempt. The terrible injustices of our past must not be denied. But they cannot be rectified by working new injustices in the present. Talking up reparations may win easy applause for unscrupulous presidential candidates. But it won’t heal America’s racial divisions, or move us toward a more perfect Union.